Thank you for joining me today! Mother’s Day is a fabulous day to honor our moms. If you’re like me, I’m always looking for the perfect gift. I’ve teamed up with my blogger friends to inspire you with amazing gift ideas for Mom. So follow us while we share with you four can’t miss Mother’s Day gift ideas Mom really wants. My heart is full of memories of my mom and her flower garden. I suppose that’s why I always have fresh flowers in my home. On spring and summer mornings she can be found sitting in her garden with a cup of coffee watching the hummingbirds that visit there. I decided to create a theme gift for my mom to enhance her morning coffee spot in her garden. For me, there is no better place to go for gift inspiration than HomeGoods. I’m always excited to see all the fabulous gift options they have. I think you’ll like what I found! First I found a big terracotta garden pot! I love its round shape. This white pot will be a standout against the many shades of green in her garden. I picked up this mini rose bush from our farmer’s market. It will look beautiful planted in this garden pot. Wow! 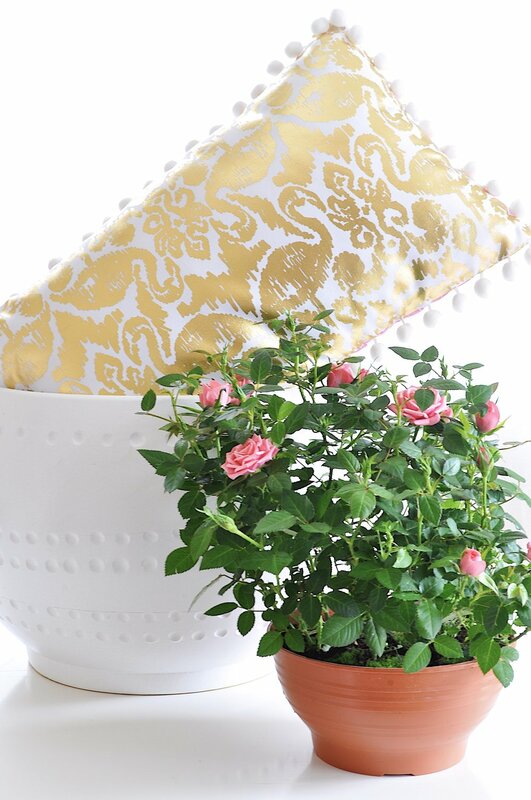 This designer Lilly Pulitzer lumbar indoor/outdoor pillow will make my mom smile! 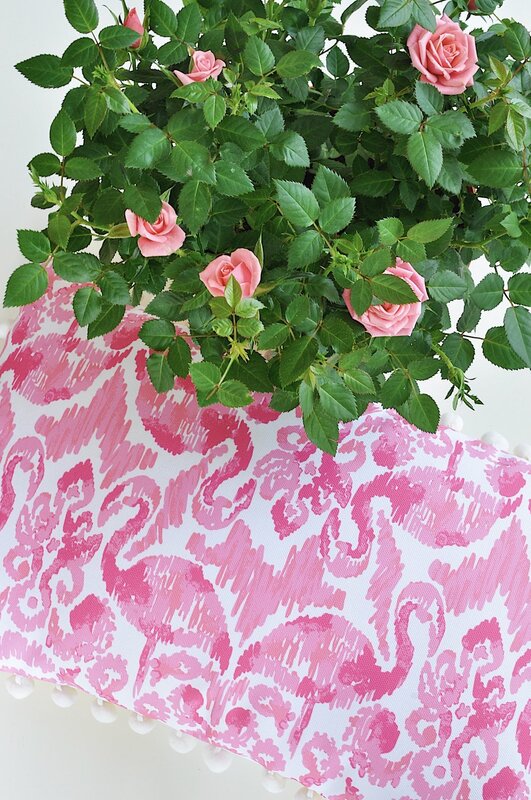 It’s so fun with pink flamingos and pompom trim. Even better, the reverse side is gold! Soft lighting in a garden in the early evening is magical. Isn’t this a lovely lantern? I also love the delicate trim design; it’s so pretty. Peonies are one of my mom’s favorite flowers, so I know she’ll treasure this peony scented candle. And it’s pink - perfect! 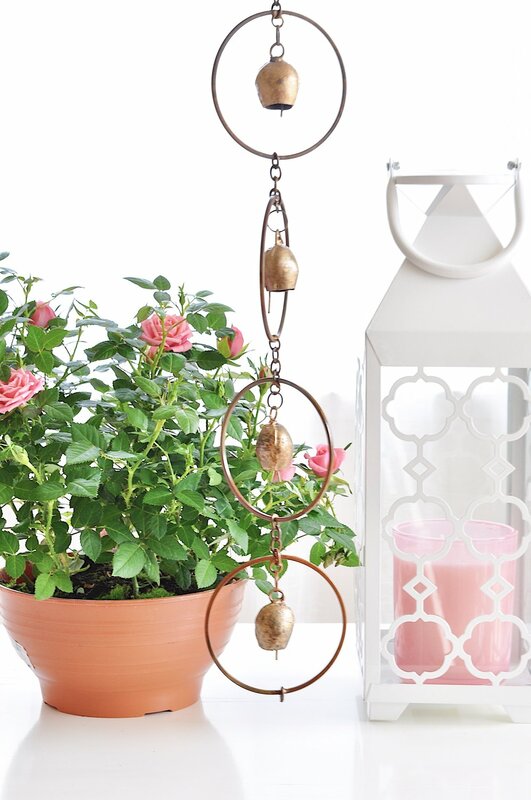 The qentle sound of these chimes creates a welcoming ambiance I know my mom will love! Aren’t they beautiful and rustic looking? I wish you could hear them. I stood in HomeGoods jangling all their wind chimes to find the perfect one! My mom loves coffee! Every Mother’s Day I buy her a new coffee mug. I thought this one was particularly pretty. To make this gift extra special I included this fabulous breakfast blend coffee and sweet biscotti to complete the theme. For a beautiful gift presentation, I was able to gather all the gifts together in the garden pot! I think it’s a beautiful display and my mom will love it! Me & my mom! This was taken years ago…. don’t you love the 80’s hairstyles?! Of course, what my mom really wants is to see her children on Mother’s Day. So I’ll be taking this to her and we can spend time together drinking coffee and watching the hummingbirds in her favorite garden spot! 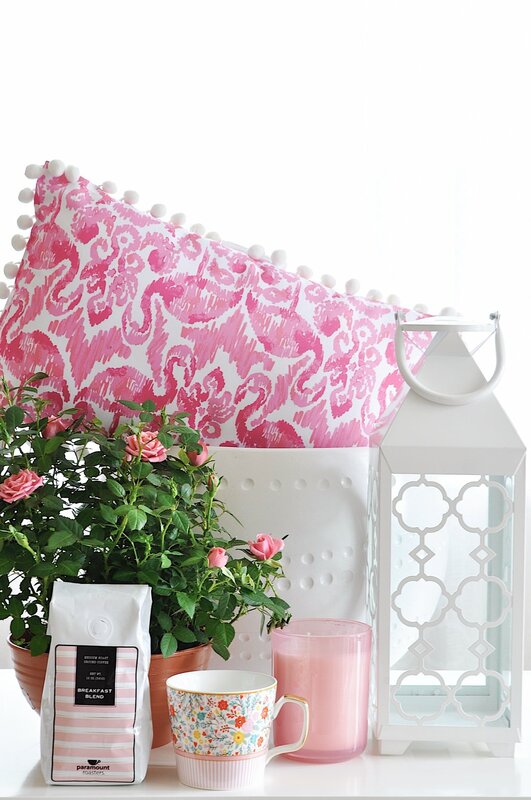 Now follow this hop to see all the great Mother’s Day gift ideas my blogging friends found at HomeGoods! Janine has amazing gift basket ideas. I know I would be delighted to receive this gorgeous basket and have a delicious tea party. Be sure to check out all of Janine’s fabulous recipes too. This is one of my favorite indulgences! 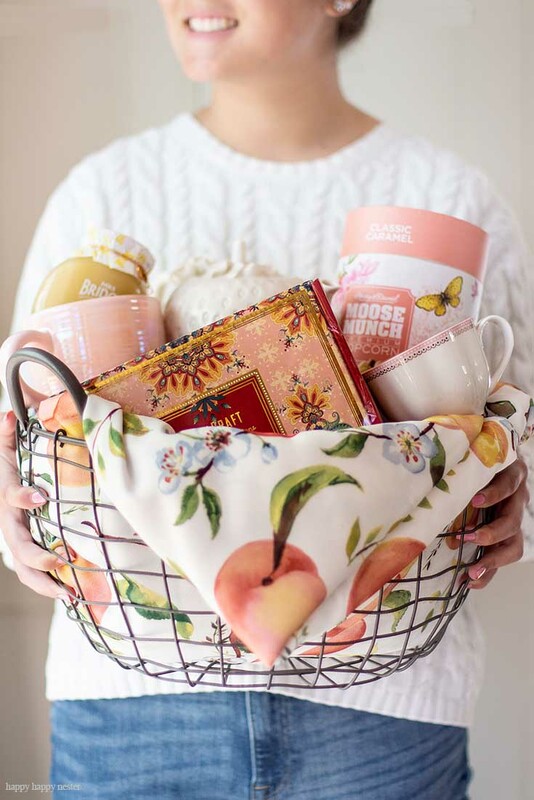 Ashley created this lovely Mother’s Day gift basket idea for a luxurious relaxing spa at home. Isn’t Summer’s patisserie gift basket for Mom full of fabulous items? It’s like traveling to a French bakery! I love this!